I am obsessed with passionfruit. It doesn’t seem to matter what kind they are, I love them. 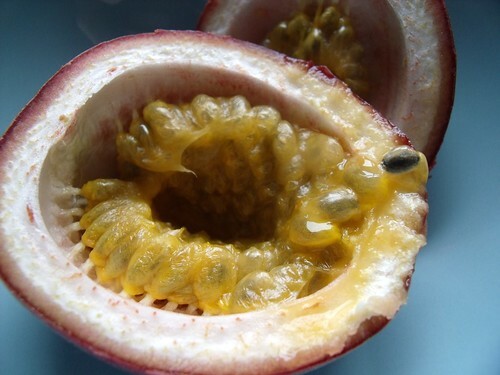 The smell when you cut them open… the weird seeds and smushy bits… the sour sweet taste… I feel like I’m on a tropical holiday when I get to eat a passion fruit. 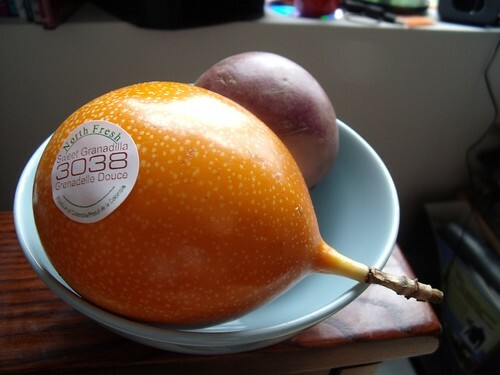 The two types of passionfruit I’ve found locally are yellow (the bright orange one with the “Granadilla” sticker, because that’s how they’re known in South Africa) and purple. Both release an intense burst of tropical smell when you cut into them (which I recommend you do with a serrated knife, and on a cutting board). 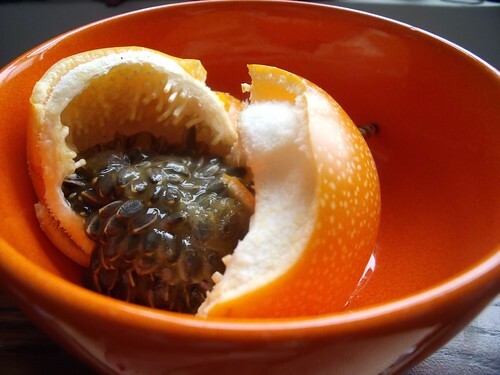 … while the orange variety seems to make for a slimier, but slightly sweeter, mess of passionfruit. But none of these appealed to me quite so much as my favourite way to eat them, which I now present to you in recipe form. Enjoy it. 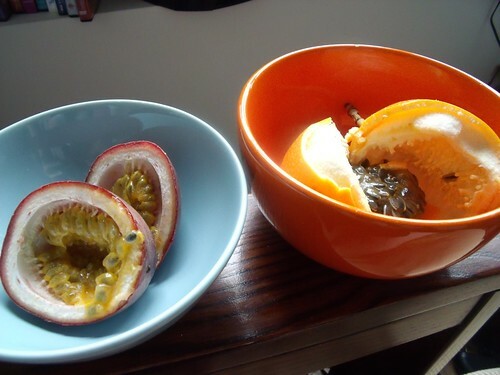 Slice passionfruit open with a serrated knife over a small bowl. Eat with a spoon, seeds and all! Rejoice in the texture combination of slimy pulp and crunchy seeds, and giggle at the inside of the shell, which definitely looks like an alien life form. And don’t forget to inhale. Ahhhh, paradise! 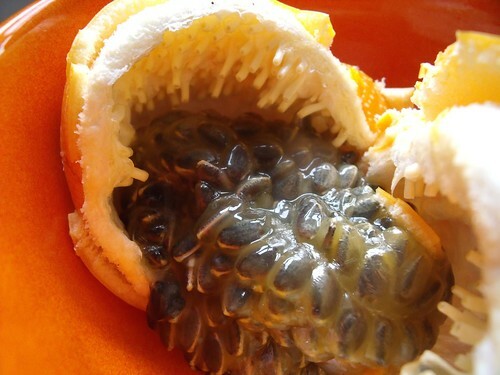 Honestly, Passionfruit literally scares the hell out of me. Never had the nads to eat that slimy crunchy inside. BUT you only live once, I suppose its worth a shot. Haha, my theory is that it’s a fruit… how scary can it really be? And you know what, it’s absolutely worth it. Why not try it first as a flavouring in something so that the texture doesn’t get you, but you get the flavour?